Samsung has started rolling out a new update to its Galaxy S6 smartphone. 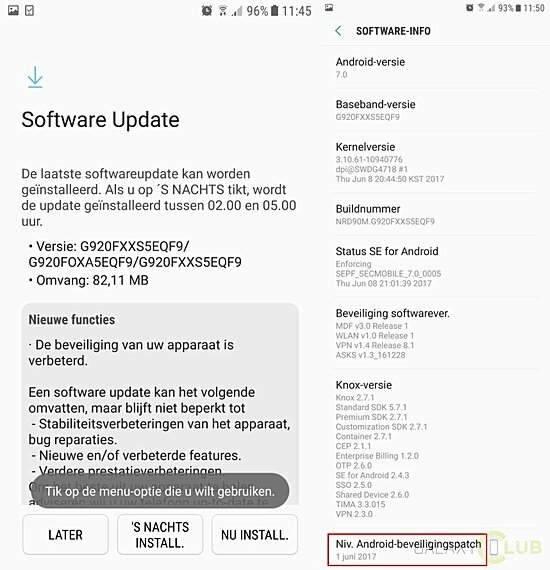 Arriving as firmware version G920FXXU5EQFC and currently hitting units in Europe, it's basically a security update that brings Android fixes for the month of June. In addition to the security patch, the update also includes some performance-related improvements and usual bug fixes. Only unlocked units of the phone are getting the update at the moment. Also, there's currently no information on whether or not the edge variant is also being updated, although there's no reason for that not to be happening soon if not already. Yeay! My screen lag has disappeared again with this update. This looks promising! The Update is also available for the G925 Edge variant of the S6 in UK and Europe for unlocked devices.